Time to cut bait on struggling fantasy baseball players? La Liga is best known around the world for being the home of the superstars -- the likes of Lionel Messi and, until his recent move to Juventus, Cristiano Ronaldo. But there are lots of other excellent players in the Spanish top flight who will be important if you're playing our fantasy soccer game. Two of his teammates, Messi and fellow forward Luis Suarez, would have been the top and third-ranked outfield players in an ESPN La Liga fantasy game last season. 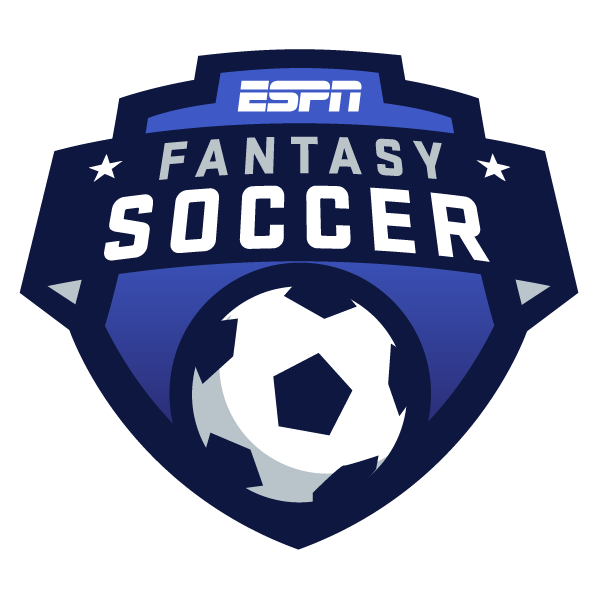 In fact, Messi would have blown away the competition, finishing with 892.9 fantasy points -- nearly 300 more than any other player! But Coutinho, who was acquired midseason from Liverpool, will be fascinating to watch during his first full campaign in Spain. Coutinho played 18 league games for Barca last season and finished with eight goals and five assists. His average of 14.93 fantasy points per game would have ranked him sixth in the league among outfield players, and you'd expect him to be even more comfortable in his second season with the club. He has a goal and an assist in the first three games of this season, but came off the bench in the opener. The Rojiblancos were a surprise second-place finisher in La Liga last season -- three points ahead of Real Madrid, but 14 points behind Barcelona. Goalkeeper Jan Oblak would have been the top fantasy keeper in the league, but Griezmann is the biggest player to watch on Atletico this season. He had 19 goals and nine assists last season and would have been fifth among outfield players in fantasy points. Griezmann passed up a move to Barcelona this summer and then played a starring role in France's World Cup victory. At age 27, he should be in his prime and chock-full of confidence. And Griezmann's scored 16, 22 and 22 league goals in his previous three seasons at Atletico. He also has a goal and an assist in the first three weeks of the season. We'll miss having Ronaldo in La Liga this year. He scored 26 goals in 27 games last season, and would have finished second behind Messi in fantasy points. The gap was huge, but Ronaldo played nine fewer league games than Messi, with then-manager Zinedine Zidane resting the now 33-year-old with one eye on the Champions League. The question is, who will step up in Ronaldo's absence? The most likely candidate appears to be Bale, who should be in the starting lineup more often under new manager Julen Lopetegui. Bale scored 16 goals in 26 games last season, and would have averaged 14.11 fantasy points per game -- eighth in the league among outfield players, two spots behind Coutinho. He already has three goals and an assist this year, but teammate Karim Benzema has a team-high four goals and is another one to watch. Valencia finished fourth last season, just three points behind Real Madrid, and 12 points ahead of fifth-place Villarreal. They had three players with double-digit goals last season, led by Rodrigo with 16, but their best fantasy performer would have been Parejo. The 29-year-old midfielder only had seven goals and seven assists, but would have finished seventh among outfield players in fantasy points. Parejo was fifth in the league in passes completed (2,023), and fourth in chances created (70). He should put up similar numbers this season, although Valencia will also be playing in the Champions League this year, which could lead to more rotation. Parejo scored his first goal of the season, from the penalty spot, in Valencia's 2-2 draw against Levante last weekend. Moreno is a new addition for Villarreal, having played for Espanyol in 2017-18. His old club only finished 11th last season, but Moreno scored 16 goals -- tied for eighth in the league with Bale and Rodrigo -- and would have finished eighth among outfield players in fantasy points. With a bigger club, Moreno's output could very well increase. And he did score a goal in the season opener against Real Sociedad. But Villarreal is off to a very poor start, with one draw and two defeats in their first three games. Betis were a big surprise in 2017-18, finishing sixth -- just one point behind Villarreal -- and qualifying for the Europa League in their first year under manager Quique Setien. And they were one of the most exciting teams to watch, that's for sure -- fifth in the league in goals scored (60), but also tied for third-worst in goals conceded (60). Unfortunately, their top performer fantasy-wise, midfielder Fabian Ruiz, has moved on to Napoli. But keep an eye on Moron, the 24-year-old forward who scored seven goals in 15 games after making his first-division debut in early February. He hasn't scored a goal in Betis' first three games of the season, but he has started in all three and has taken seven shots, with four of them on target. The other team from Seville finished in seventh place, two points behind their city rivals, and managed to make it into the Europa League through the qualifiers. They didn't have any fantasy standouts in 2017-18, though. Their top performer would have been midfielder Ever Banega, ranked 22nd among outfield players. Banega only had three goals and three assists, but was sixth in chances created (66) and ninth in passes completed (1,850). Silva, a 22-year-old forward acquired on loan this summer from AC Milan, looks like he's going to be Sevilla's primary goal-scorer this season. He only scored two goals in 24 Serie A appearances last season, but only started seven times. He's already eclipsed that total this year, thanks to his hat trick in the season-opening win over Rayo Vallecano, and he has started all three games so far. This 31-year-old forward is coming off the best season of his career, finishing fourth in the league with 22 goals scored, despite playing for a team that finished in 13th place. Aspas doesn't just score goals, either. He also had five assists last year, and was fifth in the league in chances created (69) -- a big reason why he would have finished fourth among outfield players in fantasy points. He made Spain's World Cup squad and scored a goal off the bench against Morocco. He also scored 19 goals for Celta in 2016-17, so last season was no fluke. And he scored his first goal of this season in Celta's 2-0 upset of Atletico Madrid last weekend. Real Sociedad finished 12th last season, but they scored 66 goals -- only Barcelona (99) and Real Madrid (94) scored more. So, no wonder they had three players finish in the top 20 among outfield players in fantasy points: midfielder Asier Illarramendi (6th), and forwards Willian Jose (12th), and Mikel Oyarzabal (16th). Illarramendi had seven goals and five assists, but was also third in the league in passes completed (2,203). Willian Jose had a team-high 15 goals (and four assists), while Oyarzabal was second-best with 12 goals (and five assists). Illarramendi and Oyarzabal both made big leaps in goals last season -- the year before, they only scored one and two, respectively. Willian Jose looks like the more reliable goal-scorer -- he also scored 12 in 2016-17. And he's already scored two goals in three games this season, but he suffered an injury during their 2-1 loss to Eibar last weekend, and it remains to be seen how long he'll be out. The 31-year-old Uruguayan forward fired in 21 goals for 10th-place Girona last season, the fifth-best tally in the league. But he only finished 36th overall in fantasy points. Why? Well, Stuani didn't have a single assist, for starters. He completed fewer passes than any of the other top 12 goal-scorers. And he committed 88 fouls, nine more than any other player in the league. Prior to that, Stuani had a relatively unsuccessful two seasons at Middlesbrough, scoring four Premier League goals in 2016-17 and seven Championship goals in 2015-16. I'd imagine Stuani's goal total will recede in 2018-19, although he did score his first goal of the season in Girona's 1-0 win over Villarreal last weekend.